Pete and Ramon are back to wish everybody a Happy New Year, and a Happy Season 9 of Pete's Basement! It's time to play catch-up for the last two weeks worth of books. The boys highlight some of their favorites, like the return of Swamp Thing to DC's role call, as well as newcomers Four Eyes and The Last Contract. Daredevil Season 2 and other comic tv shows are the talk of the town, and Basement Buddy Chris Craddock is launching a rocket! Say what now? That's right! Sciencey stuff as Chris explains a new type of engine he's designed! What are the boys most looking forward to in 2016? 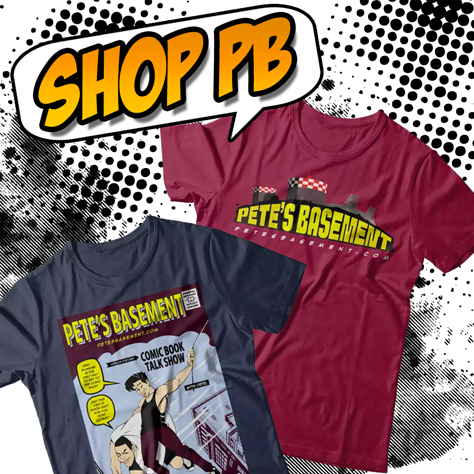 It's another mega-sized episode of Pete's Basement as the boys celebrate their 10,000th Instagram follower! Join them in the celebration as it happens! This roundtable's got it all! Politics! Religion! Hot blondes! Biblical icons in The Goddamned, pyromania in Slash & Burn, immigration in Superman: American Alien and Last Sons of America, and the science of cloning in Wolverine!